In the wild, fresh exuberance of the springtime turkey woods, experienced and inexperienced hunters alike must focus on safety. As Bennie eased through the shadowed forest, his heart began to pound. He could almost hear the blood hammering through his veins as his eyes scanned the horizon with slow and deliberate scrutiny. He had heard reports of many big gobblers here, and he had spent a sleepless night in anticipation of this day. In his late forties, he had hunted most of his life. But turkey season was special. No other game excited him more. Suddenly, a turkey exploded from a branch above him. Bennie quickly shouldered his gun as the huge bird rocketed through the dim forest, skirting trees with the faultless precision of a heat-seeking missile. Without time for a clear shot, he watched the trophy gobbler break through the woods and set its broad wings, disappearing into the next hollow. He stood on his toes, eyes straining to see precisely where the bird landed, and then moved on in eager pursuit. James, dressed in full camouflage, had been sitting patiently in the hollow for more than an hour. He was a big man: 6' 5" and a solid 250 pounds. His broad back rested against a great white oak. And when the turkey landed, James began to work his magic on the trusty box call he'd used so well during the past twenty years. This was the moment he'd been waiting for. It was going to be a very good day, he thought. Ah, yes, a very good day indeed. . . .
Bennie ignored the trees lined with "No Trespassing" signs as he crept eagerly into the hollow. After all, who would know? He hadn't seen a soul all morning. Besides, sweet success was so close now. He could hear the turkey up ahead. Surely it was the one he had just flushed, and it was making a low, clucking sound. Advancing toward the bird with great caution, he couldn't help but anticipate the stares of wide-eyed admiration from his friends upon his return home with the trophy. He was close now. Very close. The clucking came from behind a white oak just 20 yards ahead. His eyes bored through the tree for a glimpse at his prize. Ever so cautiously, he brought the 12-gauge to his shoulder. Soon the turkey would show itself, and it would be a clear shot from where he stood. This time it wouldn't get away. . . .
James stopped calling and froze. A movement, followed by a sudden glint of light, caught the corner of his eye. It was just over his right shoulder. Curious, he turned his head for a better look. His camouflage clothing blended with the oak and its surroundings, rendering him all but invisible, but his darker facemask came alive as he turned his head, the mottled pattern transforming into the feathers of a turkey. Bennie fired, striking James in the face, neck and shoulder. The powerful blast lifted him off the ground, taking many of his teeth and narrowly missing his eyes. And as James fell to the forest floor screaming in agony, Bennie heard only the rasping yelp of a turkey in distress and pumped another magnum into his shotgun. Running recklessly toward his "prize" he soon stopped dead in his tracks with the sick realization that he had shot a human being. Positively identify your target. Only gobblers are legal. Be sure you have a safe zone of fire. Keep shots to 40 yards or less. Do not lean your shotgun against a tree, vehicle or fence. After firing, make sure that you put the gun's safety back on. Approach the downed gobbler with your firearm pointed in a safe direction. Never run with a firearm. Wear complete camouflage. This includes facemask and gloves. Never wear bright colors, especially red, white or blue, the colors of a wild turkey gobbler. Wear dark undershirts and socks. 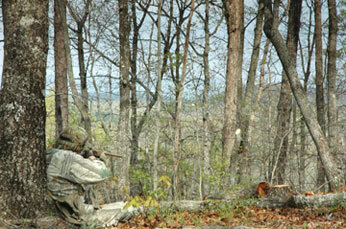 Keep hands and head camouflaged when calling. When calling, sit against a tree trunk or stump that is wider than your shoulders and higher than your head. 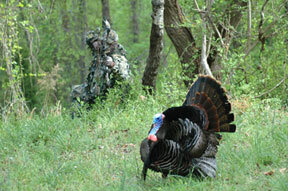 If you see another hunter, do not move or wave or make turkey sounds. Remain still and in a loud clear voice announce your presence to the other hunter. If you suspect that another hunter is already working the same turkey that you are working, leave the area. When transporting decoys, always make sure that the decoy is completely hidden in your vest. New decoys fold up for easy storage in your turkey vest. Establish a clear line of vision for at least 100 yards. Set up your decoy within 20 yards of your position on that clear line. Always check carefully that no one is stalking your decoy. If you see another hunter, remain still and call out to the other hunter in a clear loud voice to alert them to your position. As a Pennsylvania DNR officer for thirty-two years, I investigated many hunting-related shooting incidents. Although an unpleasant task because of the human tragedy surrounding most cases, it was also very interesting work. Investigating a shooting incident can be intriguing: What caused it? How could it have been prevented? Was it an accident occurring by mere chance, or did it develop from sheer negligence? I learned over the years that most hunting-related shooting incidents are caused by negligence, often fueled by the hunter's intense desire to harvest a game animal. And, unlike many may suspect, it's not the inexperienced hunters who are responsible for most shooting incidents. Frequently, the offender is someone who has hunted for many years, and, in fact, the shooting is often self-inflicted. 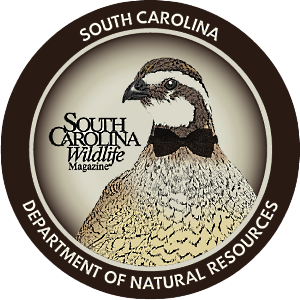 Though South Carolina has not recorded any turkey-hunting shooting incidents resulting from mistaken identity recently, unfortunately, there is always a chance that a careless hunter will make such a mistake, especially a person who measures the success of a hunt only by what he brings home. 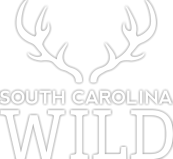 The wise sportsman chooses his hunting companions carefully, avoiding those who consider a hunting trip nothing more than an opportunity to prove they're the best "hunters" around. Such individuals pull the trigger too quickly, and as we all know, there is no eraser on the end of a firearm. One tiny movement of your index finger can change your life, and the lives of others involved, forever. The incident that opened this article happened several years ago. I was shocked when Bennie admitted reloading and running toward James after shooting him in mistake for a turkey. But his admission reinforced a belief I've held for many years: People who shoot someone in mistake for game don't see a true picture of their surroundings. Instead, they perceive mental images that they want to see and believe they see, because of a strong desire for "success." These perceptions are reinforced by a logical chain of events - actual happenings - that bolster their convictions right up to the precise moment they pull the trigger. In other words, real events blend with the imagined, producing mental images that are projected much like a video on a television screen. I am convinced that if every hunter practiced two basic rules of safe hunting no one would be shot in mistake for game. The first is to positively identify your target. Under the right circumstances your mind can play tricks on you. And while the psychology of human perceptions can be difficult to grasp, we are all familiar with common optical illusions such as paper drawings with figures that seem to move about or that appear three-dimensional, when you know that, in fact, they are not. 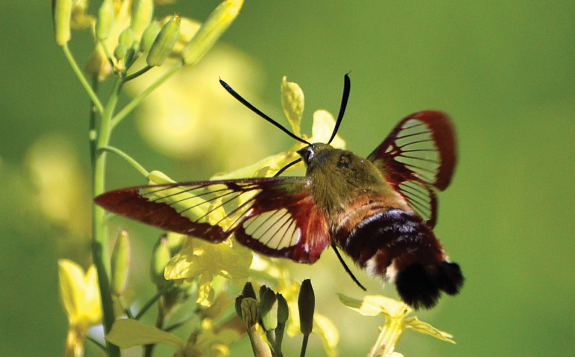 Have you ever mistakenly identified a tree stump or a rock as some kind of bird or animal? I have. It's a common optical illusion that many of us have experienced at least once. 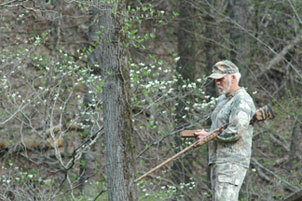 Although most hunters are careful and take plenty of time to absorb what they see, some are not. They simply react. 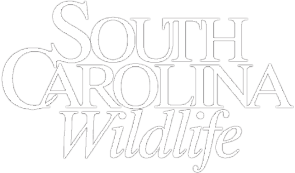 As a result, hunting accidents occur each year, bringing tragic results to everyone involved. Therefore, it is imperative not only to positively identify your target as a legal game animal but also to be seen. To accomplish this, you must take measures to stand out from your natural surroundings. Fluorescent orange has proved to be extremely effective in protecting hunters from being shot, especially in mistake for game. For that reason, whenever the law allows you to remove your orange clothing after reaching your calling position, you should consider displaying a fluorescent orange alert band nearby, especially if you plan to call or use decoys. It may save your life. In fact, in every incident I investigated in which a hunter was shot in mistake for game, the victim was posted in a wooded area, dressed in full camouflage and failed to display any fluorescent orange material. An additional contributing factor to these shooting incidents was the victim's movement, however slight, as in the incident above. If you sense another hunter is coming your way, you must remain motionless. Always suspect he may be stalking you. Do not wave (especially your orange hat, which can be mistaken for turkey wattles) at him as a signal. Instead, shout, "Stop!" Make sure he's aware of your presence and that he is safely relocated before resuming your hunt. In the three decades that I spent investigating hunting-related shooting incidents I learned that seasoned hunters, sometimes with forty or more years of experience, are often the ones who end up shooting themselves or another human being. And while I've heard every imaginable explanation and excuse for why these incidents occur, the one thing I never heard anyone say is, "I knew this would happen to me one day." It is my sincere belief that those who think they are incapable of such a mistake are most likely to err, by the mere fact they are so certain. Fact is, it can happen to you. It can happen to me, too. But only if we believe it can't. William Wasserman is a retired law enforcement officer for the Pennsylvania DNR.